Find homes for sale in the community of Wheat Ridge, Colorado. The Wheat Ridge real estate listings below are the most recent homes in Wheat Ridge to hit the market. Our Wheat Ridge list of homes includes the entire Wheat Ridge MLS database of homes for sale in Wheat Ridge, Co. Wheat Ridge is a bustling city with more than 1,500 businesses and is your home whether you want to work or play. 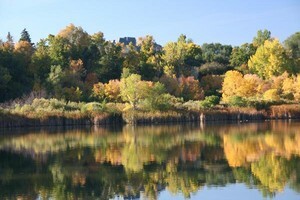 The City maintains 20 developed parks, four lakes and a 250-acre greenbelt and conservation area. A 6.5 mile, family-friendly, multi-purpose trail system runs through the greenbelt along Clear Creek and connects the regional trial system on the east and west, and a three-mile crusher fine trail runs through the conservation area. Wheat Ridge is complete with a 70,000 square-foot Recreation Center, indoor and outdoor leisure and lap pools, 18 ball fields, eight tennis courts and a fully outfitted playground for the physically challenged serves the needs of a diverse community. The Wheat Ridge Active Adult Center (formerly Senior/Community Center) offers a healthy and comfortable environment for the 50 and over crowd, providing classes, special activities and social opportunities. See below for the latest homes for sale in Lafayette or give us a call today to begin your search!